Fleet Update ~ Konectbus: The bus is the second of four ex-Anglian Solo's that the company acquired in January for city services 50, 50A and 51. Routes under threat: Hampshire County Council are looking to save more money by cutting subsidies to several bus routes. The Hythe Ferry, which has run continuously for the best part of a millennium, is also under threat. Moaning Mancs / Bank cards outside London Transport for Greater Manchester have released some interesting statistics on complaints against bus operators in the county. Sunderland and Index I have updated my post about Sunderland with some new images - including gas buses which recently entered service there with Stagecoach. 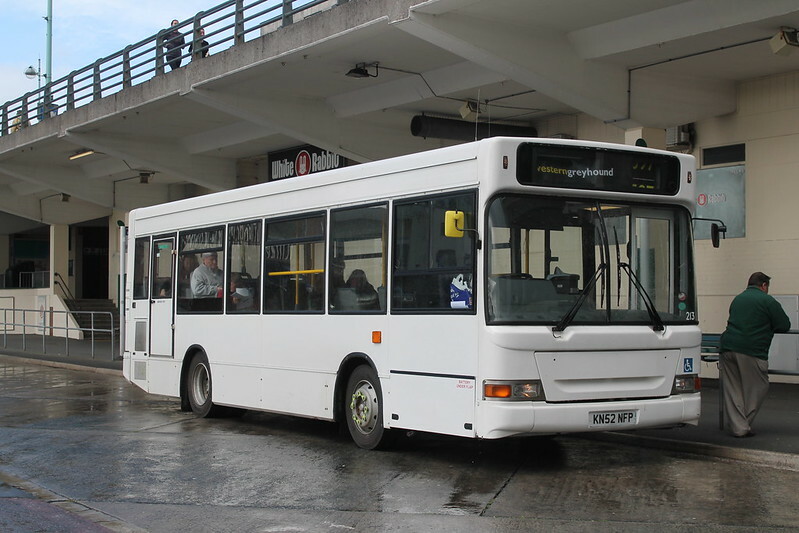 Dales Bus to Run Again in 2014! With the massive programme of cuts to subsidised bus services undertaken by North Yorkshire County Council The Man on the Lancaster Omnibus would not have been surprised to learn that Lancaster's Summer Sunday link to the beautiful scenery of the Yorkshire Dales would not re-appear this year. Moving Marsh Barton  What happened on March 10th was a decision by a Council sub-committee to approve a go-ahead for the new station. Practicalities, financial and constructional, seem to be some way off, despite the optimism of the Rail report!